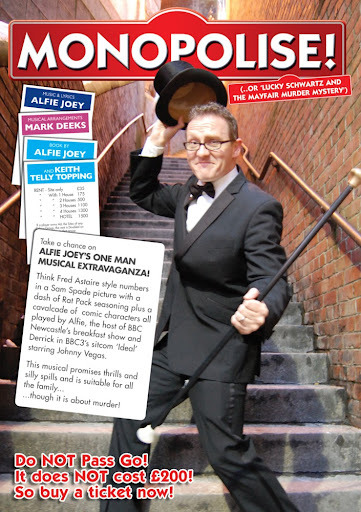 Alfie Joey's daytime job is co-hosting BBC Newcastle's breakfast show. 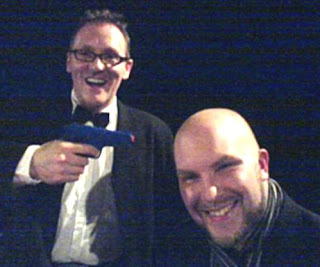 Before he took up that position a few years ago he was Derrick in all seven series of BBC3 cult sitcom Ideal (with Johnny Vegas) and had built up an illustrious record on the national and international stand-up comedy scene; I last saw him sharing the bill at the Customs House with Sarah Millican. It's obvious from this funny one-man show that Mr Joey has never lost his desire to entertain a live audience. With a nod to Mel Brooks, Monopolise! is a comedy musical about murder, mystery and mayhem. Over the years, many 'pre-Edinburgh Fringe' shows have left me wondering why people of no discernable ability waste their time, energy and money aiming for that particular Holy Grail. This is different. The central figure, a guy called Lucky Schwartz, narrates in the manner of Raymond Chandler’s Victor Marlowe. A murder has been committed in Atlanta, USA, and the trail leads to London where a murder takes place in Mayfair during the world Monopoly®™ championships. The tale eventually winds up in Newcastle. 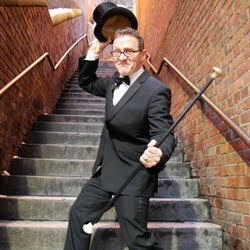 Joey sings a dozen or so songs and plays around twenty characters, impersonating Fred Astaire, Bruce Forsythe (a hotelier! ), Groucho Marx and Michael Parkinson en route. In other news, Alf and Keith just spent another lengthy writing session doing some trimming for Edinburgh (although, Mark will be happy to know that 'Oh, Mr Daniels' is back in for next time). Remember, if you're up for The Fringe, Monopolise! is on for one night only - 22 August upstairs at the Pleasance Courtyard.